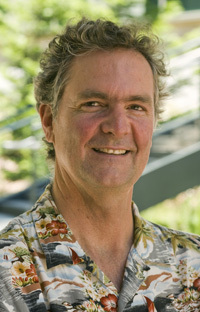 David Haussler, professor of biomolecular engineering in the Baskin School of Engineering at UC Santa Cruz, has been chosen to receive the 2011 Weldon Memorial Prize given by the University of Oxford. The prize, which consists of a medal and prize lecture to be given at Oxford, is awarded for contributions to the development of mathematical or statistical methods applied to problems in biology. This is the centennial year of the prize, established in 1911 and named in honor of Walter Frank Raphael Weldon, former Linacre Professor of Zoology at Oxford. Previous recipients include pioneering scientists such as R. A. Fisher, J. B. S. Haldane, and Sewall Wright, whose work on population genetics led to the modern synthesis of evolutionary theory. "This prize was given to many of my heroes, so I'm very honored and will have a hard time living up to this," said Haussler, who directs the Center for Biomolecular Science and Engineering at UC Santa Cruz. A Howard Hughes Medical Institute investigator, Haussler is a leader in the field of bioinformatics, which brings the power of advanced computational techniques to bear on complex problems in biology. His group is involved in several international collaborations aimed at developing our knowledge and understanding of the human genome as a foundation for biomedical advances. Haussler's team is involved in data analysis for The Cancer Genome Atlas (TCGA), led by the National Cancer Institute and the National Human Genome Research Institute, and has developed a Cancer Genomics Browser designed to help researchers find patterns in large sets of clinical and genomic data from cancer studies. Haussler is also using comparative genomics to investigate the evolutionary history of vertebrate animals. He is a founder of the Genome 10K project, which aims to assemble the genome sequences of 10,000 vertebrate species in order to understand how complex animal life evolved through changes in DNA. Findings from the Haussler laboratory include the existence of "ultraconserved" elements in the human genome that have remained essentially unchanged across millions of years of evolution, suggesting important function. Haussler is credited with pioneering the use of several important methods for analyzing DNA, RNA, and protein sequences. He was the first to apply these methods to the genome-wide search for gene expression biomarkers in cancer, now a major effort of his laboratory. Haussler was also the first to demonstrate experimentally that retrotransposons (genetic elements distantly related to retroviruses) have been co-opted into vertebrate genomes over the last several hundred million years to act as distant regulatory elements that enhance gene expression, adding weight to the theory that these elements played a major role in molecular evolution. Haussler has received many awards and honors for his work, including the 2009 Curt Stern Award from the American Society of Human Genetics, the 2006 Dickson Prize for Science from Carnegie Mellon University, and election to the National Academy of Sciences and American Academy of Arts and Sciences. He joined the UCSC faculty in 1986.